Just three weeks after its release, "Star Wars: The Last Jedi" has already raked in more than $1 billion around the world. Disney (DIS), which owns the "Star Wars" production company Lucasfilm, said Sunday that global box office numbers for "The Last Jedi" stood at an estimated $1.04 billion. Disney says that makes "The Last Jedi" the third-biggest film of 2017 worldwide. According to figures from Box Office Mojo, which tracks the industry, Disney's "Beauty and the Beast" earned $1.26 billion around the world and Universal Pictures' "Fate of the Furious" brought in $1.24 billion. Closer to home, however, "The Last Jedi" is without equal in 2017. The film passed "Beauty and the Beast" as the top domestic release of the year. "The Last Jedi" is currently the eighth-largest domestic release of all time with $517 million. 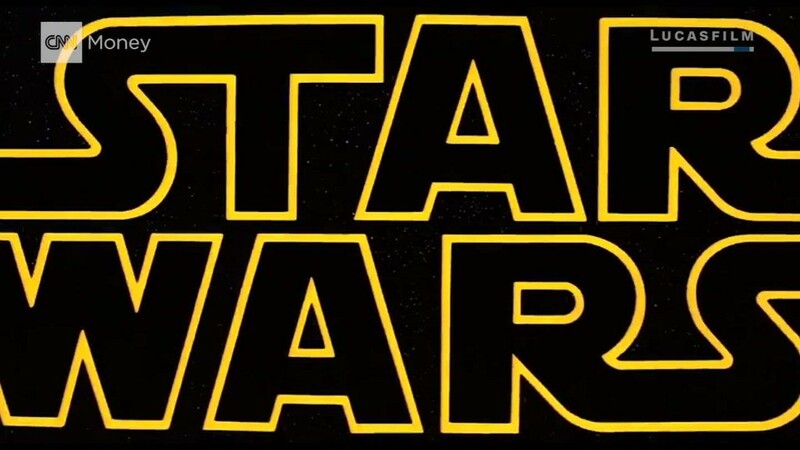 The film marks the eighth installment in the "Star Wars" saga. It premiered in North America on December 14 to the second-biggest opening ever. The biggest North American opening of all time belongs to its predecessor, "Star Wars: The Force Awakens," which debuted in 2015. --CNNMoney's Frank Pallotta contributed to this report.